We highly encourage, if not insist, that you read the following guide in its entirety and keep this email on hand. These are our most commonly asked questions and their solutions. Following this guide and taking the time to get accustomed to the app is the best way to be successful on LawnGuru! We carefully curate and update this just for you and for your benefit. In the event you did not find your answer in the LawnGuru Pro Guide, do not fret! We also have dozens of FAQ’s prepared for you that will answer any other uncertainties you may have. We update this guide regularly, so check back as needed! Best Practice: Check back at the turn of each season. We update this document to sync with app updates, the key to success here is staying current! A LawnGuru decal will be mailed to the address you registered with. Please place this decal on your back windshield. 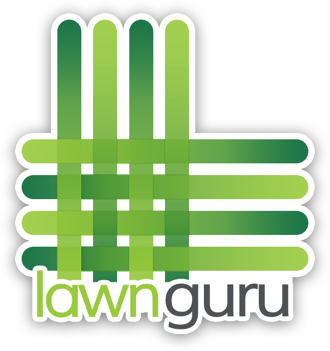 We encourage you to sport the logo as this will help customers recognize you as their LawnGuru provider! Why Did My Job Vanish? At LawnGuru we are on a mission to provide all of our users, including you, a Transformational Experience for lawn care and snow removal. It makes LawnGuru the best Service Provider to both Customers and prospects and enables us to be your best Customer. Each feeds the other. A Transformational Experience requires us to, together, exceed ordinary standards at every step of interaction with LawnGuru. It’s how we win, nurture, and grow our user base of Customers and Service Providers. We think it’s really important to share this perspective with you, so you can help us in our mission to help Customers and enable us to best grow your business. Really, we share this mission and both benefit. For our Customers, this means we’re accepting jobs quickly and performing a complete high-quality service promptly - ideally in the first half of their service window. It also means we’re proactively communicating and accommodating when/where it makes sense. Little things like these are what allow for word of mouth growth (Customers asking for you specifically) and prevent service cancellations. For our Providers, like you, this is how we get you high-quality, increasingly dense recurring routes and top off your days with nearby on-demand Customers. It’s also why we’re building and expanding our services for your core business to unlock efficiency without charging you a dime. Efficiency is one of our combined advantages and we’re constantly getting better. At LawnGuru we look at all of our Providers through a 20/70/10 lens. The top 20% of our Providers drive 80% of our most successful experiences. Conversely, the bottom 10% of our Providers are the source of 90% of our waste, cancellations and customer support problems. By constantly focusing on duplicating the top 20% and eliminating the bottom 10% were simultaneously pushing to new highs and breaking chains that hold us back. Over time, this has the effect of shrinking the gap between our top performance and our worst performance while raising the average result and the quality of our middle 70%. In practice, we rotate how we’re measuring our Providers each month and let you know where you stand. We use things like: how fast accepted jobs are completed, how fast Customers are responded to, the rate of cancellations, the rate of service complaints, etc... as criteria. For the most part, doing a timely good job will keep you out of the bottom 10%. Repeatedly coming up in the bottom 10% is a recipe for removal. Staying in the top 20% is a recipe for growth. Our top Pros have their own cult followings and make a point of owning their LawnGuru Customer relationships by sticking to the 3 C’s of success: Consistency, Cut Quality and Communication. Consistency: It’s important for both Wildcard and Chose Your Day Customers; be sure to show up regularly on the day scheduled on your job board. If you’re having an issue repeatedly with a Wildcard order, let a LawnGuru Agent know so we can move the job to optimize your route, cut down on drive time and maximize mowing (revenue producing) time. Cut Quality: Deliver a 5-star, quality service every time. Treat each lawn as if it were your own by ensuring the Service Detail Checklist is complete. Communication: We understand that weather and equipment malfunctions can impede the work of this nature. For any rain delays, our policy is next dry day. It’s Provider responsibility to message all of their LawnGuru Customers using the app to notify them regarding a delay in their service. Customers are counting on us to keep them updated with delays. Pro Tip: Sending a simple update message or introducing yourself when accepting a job for the first time can go a long way with customer satisfaction and maintaining a five-star rating! One-Time (on-demand) Lawn Mowing: These are often the first time we interact with our newest Customers! Mostly, they want to test us out before committing to a recurring service. These jobs must be completed within 48-hours of acceptance. Upon accepting a One-Time request, you will be prompted to select an estimated time frame to complete the service. While you’re not locked into this time frame, it’s very important to notify the Customer through the app if things change and you plan to service them at a different time because the Customer will be expecting you in the allotted time you chose. Recurring Lawn Mowing: When you accept a recurring service, keep in mind this customer will ideally be with you for the season, so be sure to begin establishing and cultivating a relationship from the start. Recurring Services are jobs that must be completed on a weekly or bi-weekly basis. These jobs need to be completed consistently on the day shown in the app. Most recurring services are ordered by Customers as a “Wildcard” orders which means, you, the Provider, can choose the day of the week you want to service that property (Monday-Friday). Please choose the day wisely as you will be held responsible for completing this job the same day each week (weather permitting). Recurring services can only be picked up for weekdays; we do not book recurring jobs on Saturday or Sunday. In the event a recurring service already has a specified day listed, this means the Customer is paying a premium fee to select their day of service. If a Customer’s designated service day is missed for reasons other than weather, this premium fee is subject to a refund. Pro Tip: Most recurring requests will need to be serviced the same week the order is placed. For example: if you choose to accept a job to service on Tuesdays, but it just so happens to already be Wednesday, you’ll have the option to accept the Customer’s active request for immediate service. If you won’t be available within 48 hours to do the first service, you may decline the active request allowing another LawnGuru Provider to pick it up as a One-Time Job. After the first week, you’ll be free to cut them consistently on the day that you initially chose. This is to avoid the Customer having to wait a week for service based on the day it’s picked up. Our goal is to get users serviced quickly on the week that they sign up! *Please note that snow service is currently only available in the Detroit market. One-Time (on-demand) Snow Plowing: Snow is a fast-paced season. You may pick up orders for "ASAP" service or for "end of storm" service. For "ASAP" service, you have 6 hours to complete the job from the time you accept it. For "end of storm" service, you have 6 hours from the time the storm ends to complete the job. Often, Customers will message Providers within the app to coordinate a timeframe or gather an ETA so be sure to keep up with your in-app messages. AutoPlow: Only the top performing Providers in each market will be eligible to become an AutoPlow Provider. Providers can think of AutoPlow customers in the same terms as recurring lawn customers. As an AutoPlow provider, you will have a pre-routed schedule of clients to service each time it snows two or more inches. This allows us to help build highly dense and efficient routes for our AutoPlow Pros. Ask us how to become an AutoPlow Provider. Special Services: The top-performing Providers in each market will receive notifications for Special Jobs. These jobs are visible on the map with a " " icon and from within the "Available Jobs" screen. Special jobs may include a wide variety of outdoor services: Yard Clean Ups, Overseeding, Aeration, Sprinkler Winterization, Mulch Spreading, Bed Weeding, Hedge Trimming and more! Preferred Providers are able to submit their own quotes for these special jobs and choose the date they’d like to perform the work. All special jobs must be completed on the date the Provider chose. Releasing a special service that's been accepted by a customer will result in a $50 release fee and immediate Provider suspension while the account is under review. Ask us how to become a Preferred LawnGuru Provider. It’s important to only pick up as many jobs as you can reasonably complete in the time allotted. The flow: tap 'Available Jobs' to find the job you'd like to claim > swipe 'Claim Job' to add it to your job board > swipe Go To Job when you’re ready to dispatch > swipe Start Job when you begin servicing > complete the Check List presented for the service details > Upload a Photo of the job well done. Go To Job: Only swipe Go To Job when you’re ready to dispatch to the location. It’s important to always swipe Go to Job when you’re truly on your way. At this step, the Customer receives a text letting them know you’re en route, and payment is authorized to ensure funds are available. If you render the service and then swipe all functions at the same time (go to job/finish job) and the card fails, we can’t guarantee payment. That function is built specifically so that work isn’t rendered when payment isn’t available. LawnGuru was built to optimize the Customer experience while making sure that our Providers never do work without pay. This notification also gives the Customer time to unlock their gate, let pets indoors, and shut off their sprinkler system so their property is ready for you to service. If the Customer isn’t allotted the appropriate amount of time to take care of these things, you will not receive a trip charge if you Request Cancellation. Pro Tip: If you are servicing a property near your next LawnGuru customer, please be sure to swipe "go to job" at least 5 minutes before starting the service to allow the customer enough time to prep their service area or skip if needed. Start Job: When you’re ready to begin working, swipe Start Job. If you fail to swipe Start Job you run the risk of performing a service without being compensated; the Customer has the ability to cancel at any point before you start the job. Once a job is started, the Customer cannot cancel. Finish Job: As you work you’ll need to keep the “Job Checklist” in mind. This will detail everything that needs to be done at that service for the job to be complete. Until this job checklist has been completed in its entirety, jobs should not be closed out. Once you mark each service detail as complete in the checklist, the app will prompt you to take a photo and submit that as the finished job photo. From here, the app will close out the job for you. If you’re having any issues completing any of these functions, please reach out to LawnGuru Support with the address of the job. You should always still take a photo of the finished service and save it to your camera roll if you are having trouble marking a service as completed. Support can be reached by emailing support@lawnguru.co, live chatting within the app, texting or by phoning (855) 807-8974 so we can help resolve the issue immediately. Do not swipe all functions at the same time. When this is done, your Customer will see that the job was started and finished within 60 seconds, which results in them thinking the cut was never performed. Please be mindful of this as we do offer a service, it needs to be executed properly from start to finish. We want the Customers we share to smile, appreciate your work and take joy in their finely manicured yards. Please swipe all functions in real time. If a Customer doesn’t want service, once receiving the notification that their provider is En Route, they can cancel which will result in a cancelation fee paid directly to the Provider. To ensure payment, swipe all functions in real time. Pro Tip: We understand unforeseen circumstances can arise while out servicing. If you happen to run over a dog toy, sever a cable cord, etc... be sure to submit photo documentation to LawnGuru right away! Your LawnGuru Support Team is here to help you whenever an issue arises so you don't have to! Be a standout and please be sure to document these types of situations immediately. If you’re unable to service a property on your board before the due date, you can release the job without penalty. If you need to release a job on the day it's due, you may do so however a $10 release fee may apply. If the job has been on your board over 48-hours, the Provider releasing the job may be responsible for all overgrown costs if applicable. When accepting a job you've agreed to service the customer. They're counting on you to service their property so it is highly inconvenient to release their job last minute. We certainly understand equipment malfunction and if this is the case, easily message your customer within the app explaining the delay to gain approval for an extended service window. Failing to release a job or leaving a job on your board after it's due date when you're unable to service it will also result in a $10 release fee and the Provider guilty of this may be responsible for all overgrown costs if applicable. To avoid a release fee, simply do not accept jobs you do not intend to service. How to Release a Job: Tap the black "service options" button > tap Release Job> tap Release Job again. After releasing a job it will be cleared from your Job Board and visible on the home screen so another LawnGuru Provider can accept & service this customer. Releasing jobs should only be used as a last resort as it will have a negative effect on your star rating and may lead to provider suspension. LawnGuru Providers work hard, so vacations are important and encouraged. It’s imperative that when you’re leaving town you release all of your jobs. If you want to keep your recurring Customers, contact LawnGuru Support with at least two weeks notice so that we can work to pair up your Customers while you’re away. We’re happy to leave you on the recurring service, however, Customers rely on us so they must continue receiving service regardless of personal schedules. The customer messages you to cancel the service after you've already slid "Go To Job" meaning you've dispatched to the property or you're already on the job site. Do not request a cancellation for properties that appear to already have been cut upon arrival. All customers place their own orders through the app. If a job is on the job board please render service. How to Request Cancellation: tap the Service Options button > tap Request Cancellation/Flag as Unserviceable > type the reason you'd like to cancel > tap Submit Picture > upload photo > tap Ok. At this time a LawnGuru Agent will review your request and if approved, you'll receive a trip charge. Overgrown lawns are fairly common. Never request an overgrown fee if you're late servicing a customer, or for any recurring weekly or bi-weekly customer that has not skipped their service appointments, it will be rejected. Lawns with thick grass that consistently stands over 6 inches in length are considered overgrown per LawnGuru’s standards. Lawns of this length need to be cut multiple times, which results in an additional charge to compensate for the Provider and crew's time. Not all lawns that have grass over 6 inches in length will require a double cut. Use your judgment when Requesting an Overgrown Fee and keep in mind, you will be taking care of these customers year round so do not overcharge your LawnGuru customer. How to Request an Overgrown Fee: tap the "service options" button > tap Request Overgrown Fee > select the length tier that accurately represents the property you're at > tap Submit Picture > take a photo (please use guide below when taking a photo, poor photos will be immediately rejected) > tap Ok.
An Agent will let you know when the Overgrown Fee has been approved or rejected. If your Overgrown Fee Request isn’t authorized immediately by a LawnGuru agent due to our business hour restrictions, please complete the service for the customer anyways and be sure to upload the completed job photo in the app. We'll notify you when regarding your overgrown request on the next business day. Click here to see what overgrowth photos that get approved and rejected look like! *The "request overgrowth" feature is specifically for lawn mowing so please do not request overgrowth for edging services. See below for LawnGuru's overgrown edge policy. Overgrown Edges: Edging is included in all Recurring Customer orders, however, sometimes a 1x additional fee is required in order to create a defined edge. LawnGuru considers an edge to be overgrown if it's grown at least 1" over the concrete. If you run into an overgrown edge when you go to service a recurring customer for the first time, document the overgrowth and send a photo to LawnGuru through text or email along with your price to take care of the edge. Do NOT proceed with the edging on the first service. Customers do not pre-authorize overgrown edging fees as they do for overgrown grass. LawnGuru must verify your pricing with the customer before you can edge the property. 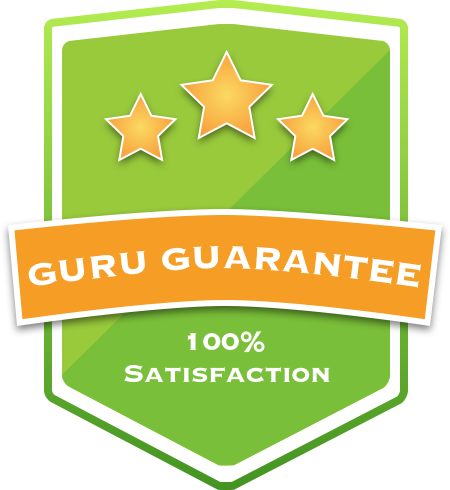 If LawnGuru receives authorization from the customer to perform the edging service, you will be notified and the additional funds will be added on to the next service. You are required to take before and after photos of the concrete areas to show that the service took place as requested. If a customer declines the additional cost to establish an edge, you may continue servicing the customer regularly without edging. Edging is one of your duties as a Recurring Service Provider. If you fail to contact LawnGuru regarding an overgrown edge at the first appointment, you may be held responsible for delivering the edging service at any point throughout the season. As the season gets underway and Service Providers begin building their routes, it may be necessary at times to move jobs to different service days than initially accepted in order to optimize routes. You may not Change Service Days for active jobs (jobs that are currently due) and this tool must be used sparingly. There are a few things to keep in mind when using this feature. Be sure to make route adjustments at least 1 day prior to when you want to service them. Customers require at least 1 day's notice so they can plan for the service. If you try changing the service date to a day that has already passed, the service date will be pushed out to the following week. For example, if today was Wednesday, August 1st, and you try changing a service date from Thursday to Tuesday, the service date will bounce forward a week to Tuesday, August 7th meaning the customer will have to wait a week for service. To prevent this, best practice is to change service dates over the weekend as opposed to midweek to avoid delays. How to Change Service Date: select the job from the route sheet > tap the "service options" button > tap Change Service Date. Pro Tip: changing a customers service day multiple times within a 1-6 week span is deemed an abuse of this feature and may result in account suspension. Poorly Marked: There are infinite ways to both poorly and correctly trace a lawn, driveway or sidewalk on LawnGuru. The most important aspect is making sure that all major areas are included. This ensures that you're accurately compensated for your work! Be sure to flag a job as Poorly Marked only if the highlighted portion doesn’t account for the complete area the Customer expects to be serviced, or if the marking lines are crossed, showing the area as red. Remember to always flag a property as "Poorly Marked" before accepting the job. Here's how to flag a job as Poorly Marked: Tap the 'Service Options" button > tap 'Flag as Poorly Marked' > tap 'Flag Property'. Customers can Skip a service appointment at any time within the LawnGuru app. If you see the word Skip next to any job, the "Go To Job" function will not be visible for you to swipe. Do not service this property. The Customer does not need service this week and ordered a skip. Customers often order a skip if their grass is burnt out or hasn't grown from the previous cut, the lawn is too wet to service due to weather or there may be construction taking place at their home that will prohibit the service area from being clear of obstacles. If the property is on a bi-weekly schedule. Bi-weekly lawns will show up on your board each week so you know that the account is still claimed by you. If you cut this property the previous week, it will show up as a "Skip" on your job board the following week so you know not to service it. Why did a job disappear from my board? Jobs can disappear from your board for two reasons. Either the card has failed when you swiped Go To Job - which is an automatic cancellation, or the Customer has skipped their service appointment. Sometimes we all miss some grass or forget to blow off a hard surface. No problem! Customers have up to 48 hours after service is complete to raise a quality service concern. Rather than defaulting to a refund, which costs us both time and money, we’ll reach out to you to get the matter resolved in a timely fashion. We’ll get you all the pictures and details we collect to make resolution clear and straightforward. Making right by a Customer is a great way to ironclad your relationship, drive referrals and stack stable recurring revenue! Major service issues: property damage, injury or patterns of service complaints. Major issues happen from time to time. If something like this happens, lead with transparency and let LawnGuru and the Customer know. Avoiding a negative surprise is the first step to getting it solved! From there, we’ll work with you and the Customer to make sure the problem is resolved successfully. We are insured, but this is the third line of defense. The first line is keeping safety and quality as the overriding priority - on every job! Pro Tip: document photos of damage immediately. With LawnGuru, collections and payments are problem free! When you complete a job in the app the payment process starts immediately. Payment goes from the Customer through Stripe’s platform to your chosen bank account. We never middleman the transaction. This process takes 2-3 business days so jobs completed Monday will be in your account by Wednesday. Pro Tip: If you complete a job on the weekend, bank holiday, or after the banks have closed for the day the process still gets started right-away but the ACH transfer doesn’t move until the next banking day begins. Contact a LawnGuru Support Agent with the new account information ready and let them know you’re trying to make this change. From there we’ll get everything updated for you safely and securely so your funds always arrive on time and paid in full. We are unable to “re-do” a transfer once it’s been sent. If the banking information provided is incorrect and directs funds to another account, it is unlikely they can be recovered - at least in a timely fashion. We also can’t recall a transfer sent correctly to another account you provide after the fact. At the end of the year, we’ll send you a 1099-K Form for the work you’ve completed which includes our take and yours. Deduct ours right off the bat and any expenses you or your business incurred accordingly. We’re not accountants, but we think we made this as simple as can be! Pro Tip: You will only receive a 1099-K if you’ve completed over 200 jobs and earned over $20,000 in Gross Revenue using LawnGuru. This includes encouraging LawnGuru Customers to cancel their service and reschedule outside of the app with you, requesting additional money directly from the customer in order to complete their service, scheduling Special Services for LawnGuru customers outside of the app or sharing personal information including email addresses, phone numbers or business cards with LawnGuru users. Flagrant obscene or disrespectful behavior toward Customers or fellow Gurus, or fraud of any kind including misrepresentation of things like equipment and/or insurance. This Pro Guide was created to help minimize, if not eliminate, misuse of the app. If there are any questions regarding the LawnGuru Pro Guide detailed above, please reach out to LawnGuru Support Agents so that we can help! Mistakes Happen and that’s ok! If we can repair or make up for mistakes, these are opportunities for growth. Never be afraid to double-check details, contact the Customer or ask a LawnGuru Support Agent for help. One form of unacceptable failure is repeating the same mistake over and over again - this can be an indicator of poor fit, inability to learn or grow. Not listening to your Customers or LawnGuru Support Agents before and after a given failure or shortcoming is another. Never ignore the evidence. Providers who misuse the app, the flow, or break our Terms of Service are subject to immediate review, which may result in disciplinary action including but not limited to removal or suspension from LawnGuru. Together, we’re setting a newer, higher standard, for LawnGuru Customers. We’re thrilled to share LawnGuru with you. Providers are our partners, and we are yours, let’s make sure we’re both accountable to the standards we maintain and exceed the expectations of our Customers! Problem users, both Customers and Providers, tend to exit our platform pretty quick. As a business owner, you already know that customer service is a balancing act between setting expectations, creating accountability, and preserving future business opportunities. We hope you see Customers you service through LawnGuru as your own and treat them as your own - we work hard to compliment your effort so they stay on your job board season after season! Use this Pro Guide to mitigate issues and best ensure your Customers are happy. If you’re doing this, you’re upholding your end of our partnership and ensuring a long-lasting relationship with LawnGuru. What is required to become a LawnGuru Provider?